With our Flex Dining Chair - Black Seat inspired from the Jasper Morrison Hal Wood Chair, you can get four or more dining chairs for the price of one designer original. 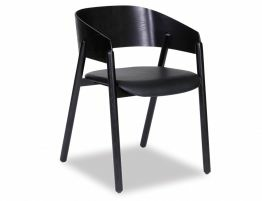 So for the price of one designer chair, you could outfit your entire dining room table! 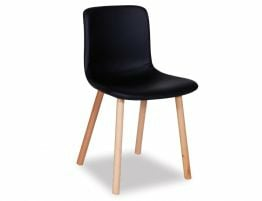 With a matt black Polypropylene plastic moulded seat & solid beechwood legs, our Flex Dining Chair offers the best of modern trend and style. 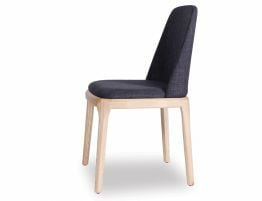 Our premium designer furniture reproductions have been constructed with the same quality materials and attention to detail that has made the originals such hot tickets. 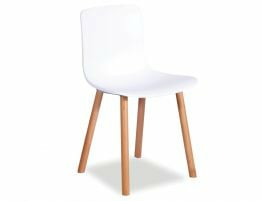 Our high end reproduction Hal Wood chair offers must ave modern style for your space. 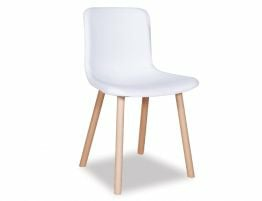 Whether you need chairs around your kitchen table, your dining table or even at your desk, the Flex Dining Chair offers clean forms, smooth expanses and smart look perfect for your contemporary spaces. 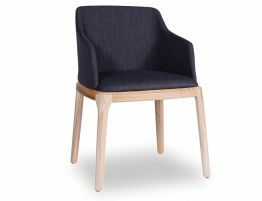 This multi use chair offers a malleable design that looks chic and modern.